Its pretty simple to do, you just need to do it in the right order else you might lose remote access to the GUI and then be locked out unless you can get on a machine in the local network. 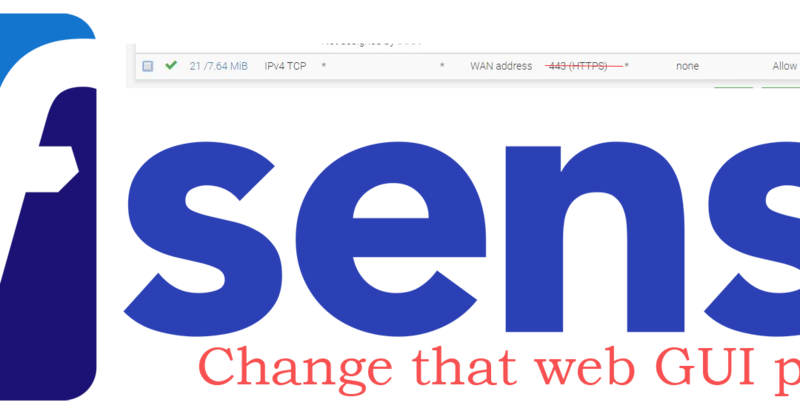 Change the port in pfSense settings. Here’s the normal one you create for remote access. Either edit or copy that rule. Input the port you want to use, make sure to NOT choose a popular one. Save and Apply your new firewall settings. Now go directly to System > Advanced > Admin Access tab, change the TCP port option in the webConfigurator section. this TCP port needs to match what you put in the last step. In our example that was 45665. You won’t be able to connect with the default port anymore. If you accidentally lock yourself out, IE didn’t follow these steps in order, or didn’t type something in right. you can get on a computer on the local network. try using the LOCAL IP of the router with the new port OR with the default port (so you basically just use the local IP,) depending where you messed up. This should let you get back in to fix your mistake.